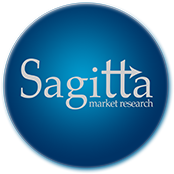 A large proportion of the research that Sagitta Market Research Ltd carries out is quantitative consumer interviewing, including in-street interviewing. Our nationwide team of highly skilled interviewers, under the guidance of our experienced supervisors, will ensure we interview a representative sample of consumers in whom you are interested. Our interviewers are proficient at probing the details you need to know and ensuring the information we collate is accurate. If you wish to check the footfall at specified locations and events, we can also provide pedestrian counts. Of course, since Sagitta Market Research Ltd is a member of the Market Research Society (MRS), all our interviewers and supervisors work in accordance with MRS guidelines.